If you know me at all, you know about my obsession with Target. I can't remember when my passionate love for this store started, but it was probably around the time I could walk. So when I got an email asking if I would promote a potential new hat line that would be carried by Target in exchange for a free $25 gift card, I told them "yes" as fast as I could type. 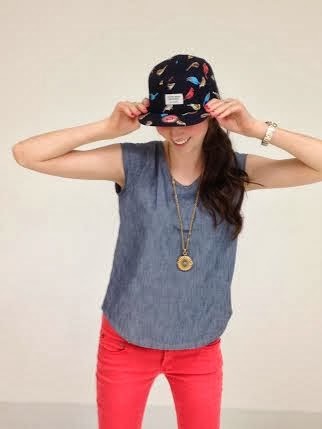 If you're interested in learning more about the brand, their story, and the hat designs, check out their website here. 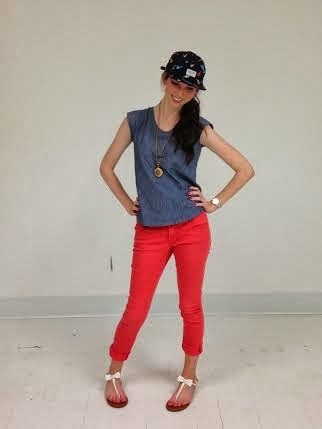 The hats are starting to be sold at some Target stores too, check out your local one to see if they're carrying them! 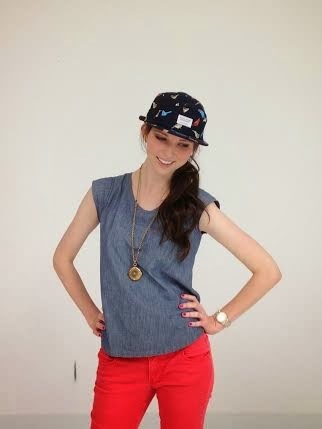 I asked my amazing photographer friend Vanessa to take some photos of me in the hat and she happily obliged :) We took a TON more of me in other outfits that will be featured on the blog in the coming weeks. She even let me pretend to be a photographer and take photos of her and her adorable pregnant belly! I felt pretty cool. Anyway here's me in the hat. And here are my thoughts on the hat: I'm not really a hat person. If I'm going to wear one, it's either because 1. It's freezing outside and I want to keep my ears attached to my head or 2. I'm at a sporting event and I'm wearing a legitimate baseball hat in support of my team. With that being said, fashionable baseball hats are becoming quite the thing. 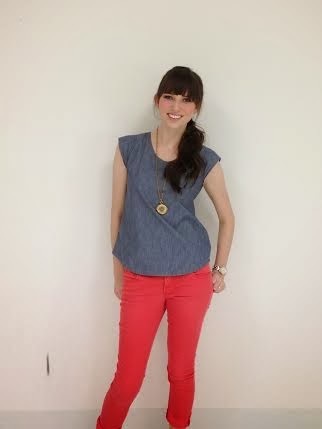 J.Crew has some super cute ones that I'm not sure I could pull off, but in theory I very much like them. 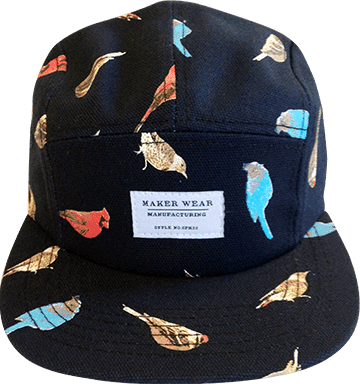 These Maker Wear hats definitely fall under the "hipster California skater-girl" category, but I like the bird pattern and it supports artists which I'm all for. So, will I wear it again? If that right occasion arose. Why? Because it was free and it's kind of cute. Would I buy it if I spotted it in Target? Ehhhhhh probably not, unless it was super cheap. 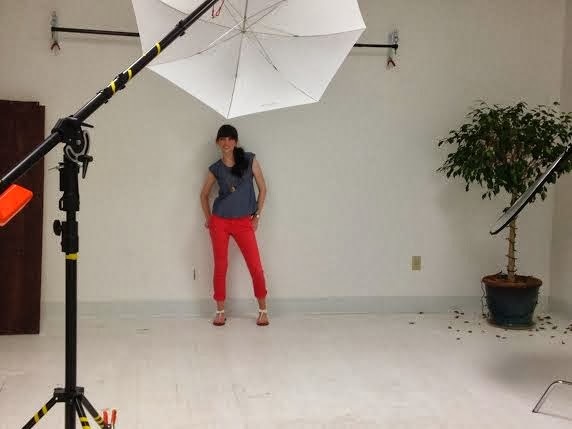 And here are some photos of me from the studio shoot, minus the hat. Excited To: Go to Chicago with Husband for the weekend!! Last Thing I Ate: Oatmeal muffin. It was ok for a muffin. Thinking About: Training for a half marathon...more on that another time. Big Plans: To buy art supplies with my Target gift card. More on that another time, too. 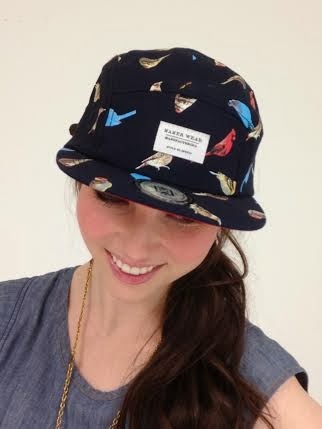 I saw this picture on Instagram and was immediately allured by the pattern on the hat.